No matter where you look you'll always see a yellow cab go by and still you can have a tough time hailing a cab in New York City. It's busy, rush hour or raining, it's always something. But now there's UBER. A private car service that collects you from wherever you want and brings you to wherever you want to go. How to get your UBER on? 1. download the app and make an account connecting your creditcard or paypal account. You might as well do it right now. 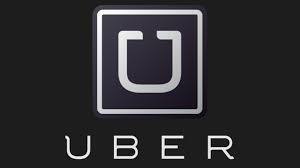 2. open your Uber app and Uber will locate you through the GPS on your phone. A map will show you where you are and a pop up screen will tell you just about how long it will take for the nearest car to pick you up. 3. the name of the driver and info on him or her and the car will be shown. If necessary you can contact him or her. 4. after ordering the ride you can livetrack the driver. In the meantime you can get a coffee or something. You'll be informed when the driver has arrived. 5. payment is done by the creditcard or Paypal account that is connected to your Uber account. Tip is included. If you travel with more people you can choose to share the costs of the ride (Uber X is the cheaptes option if you're with a party of 4). The amount is then equally taken off each account. The costs of Uber vary by city. If you want to get a feel of how much a ride in NYC will cost you just fill in the pick up location and destination beforehand and see what the charges will be. During rushhour, bad weather or on Friday- and Saturday evenings the costs are higher than usual. And, good to know, overall the costs of Uber are comparable to the good old yello cab. Sometimes a little bit cheaper.